This product is a kind of essential goods in household and warehouse. It can be folded so that it is very convenient to carry and to use. Its unique wheel designed for climb the stairs. Whether you're moving in, moving out or just moving around, this versatile carbon steel hand truck is just what you need to move cargo swiftly and safely. 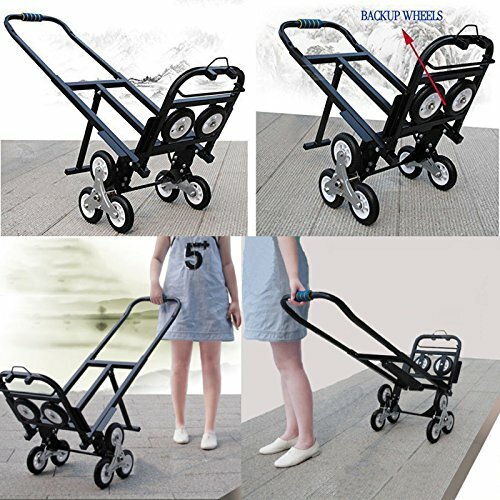 As an upright hand cart, it can safely carry up to pounds, while its four-wheel configuration supports up to 420 pounds meaning fewer trips and a quicker move. Height Adjustable Standing Desk by G-Pack Pro. Wide Sit to Stand 35 inch.| Durable & Ergonomic Design With Removable Keyboard Tray | For Laptop / Monitor, Mouse | Fits Dual Monitor (Black).